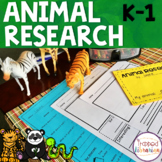 This beginning animal research project is ideal for use in library skills classes in kindergarten and first grade or in the kindergarten or first grade classroom. 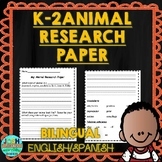 This research project is the first part of a scaffolded research unit and the basis for furthering research skills in elementary school. 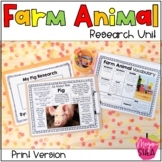 A simple animal research booklet great for kindergartens! 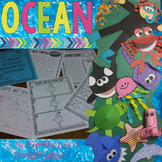 Booklet includes 5 pages: Title page Appearance Habitat Food Fun Fact I've included 2 versions. 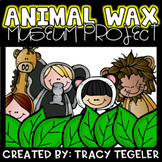 One has sentence starters and one does not. 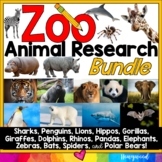 Zoo Animals Research And Writing Project! 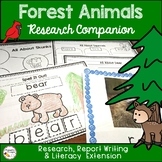 Arctic Animals Research Project PLUS Centers! 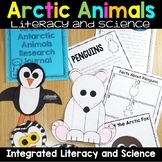 Arctic Animals Research Project WITHOUT Centers! 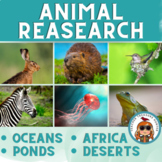 Animal Research Papers ~ Read about Africa Oceans Desert Arctic 99 animals! 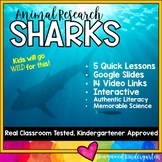 Sharks ... 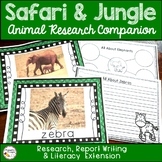 Zoo Animal Research Mixed w/ Authentic Literacy Practice! 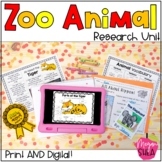 Also included in: The Ultimate Back to School Bundle... 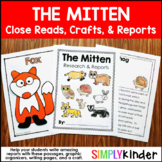 The Get Set for Kindergarten Kit!